You’re looking at expanding or converting your home, and you find yourself thinking: do I even need an architect? Afterall, aren’t they just for fancy homes on Grand Designs? A good architect is going to have hundreds (maybe even thousands) of residential projects under their belt. This kind of experience is invaluable when it comes to investing in something as sizeable as a new extension, or loft conversion. That’s because it allows you to have your needs considered with an expert eye. An architect will be able to listen to what you’re looking to get out of your project (extra space, better garden access, added home value) and advise from the outset what your best routes are. What’s more, as your first port of call, your architect will be able to explain the whole process to you from start to finish, meaning you don’t get left in the dark. Next to actually buying your home, extending it is going to be one of the biggest financial commitments you make. That’s why it’s important to make sure you’re budget is being put to good use. At Resi, our architects make sure you have a clear view of not only our charges, but of future professionals you’ll have to contract. We’ll advise on how much you’ll need for what, and when you’ll likely be parting with it. Not only that, we also advise on setting up payment plans with contractors, making sure you stay safe from bad practises. One of the biggest benefits of hiring an architect is obvious: great design. Even simple projects can benefit from an architect’s touch. They’re experts in analysing a home and knowing how to transform it into some better than the sum of its parts. It could be knocking down a wall, moving an access point, or even revealing you have space for an extra room. The benefit of this is that you know you’re getting the maximum space and potential from your home, rather than just a box plopped at the rear. So you get a house that’s engineered for your needs, and one future buyers will be attracted to in the future. After all, if you’re going to do something, you might as well do it right. One of the main reasons for skipping out on an architect is to save on costs. However, this can easily backfire when it comes to planning. 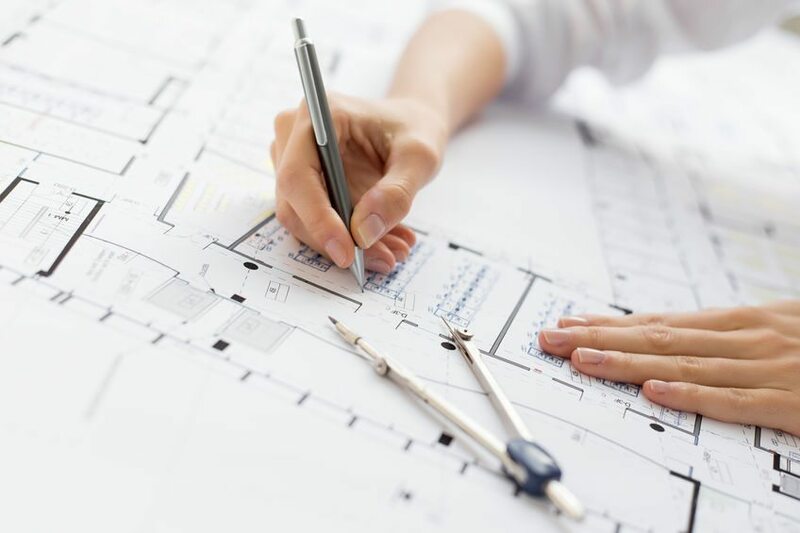 As we’ve mentioned, architects come with years of experience, not only in design, but planning. Chances are they’ll have dealt with your local authority in the past, and know how to research your area. Meaning you’re far more likely to secure planning success with an architect, than without. Getting hit with rejection, through poor design or mistakes, can easily be costly, with every misstep eating into your budget. And without an architect guiding you in the first place, the admin costs of planning might come as a shock. That’s why we recommend putting in that extra investment upfront, to help ensure your project actually secures permission and does so with minimum cost to you. At Resi, we want to make sure our customers feel confident and safe throughout their whole project. That means our services don’t just stop when you leave us. We want to make sure the professionals who take your project to completion are the right ones for you. That’s why we run a Connect service, so you’re introduced to the best local professionals in your area. Now, this isn’t something all architects do, but you will find that some do provide recommendations of structural engineers, party wall surveyors, and contractors. Architects don’t work in a bubble. They often have to liaise with engineers and other professionals to make sure your designs are correct. Meaning they know who’s a safe pair of hands, and who might be taking you for a ride. Because we work with hundreds of projects every year, Resi is particularly adept at finding great professionals. We’ve built up contacts across the UK, and what’s more, we can often secure savings for you from these relationships. Meaning you save money, the supplier gets a great new customer, and we know you’re in safe hands for the rest of your project. We’ll even advise on price plans, so your money stays safe. Want to learn more about the benefits of using an architect? We offer free consultation calls so you can talk to a professional before you even get started.